Clean up stock latch cover! LH-92: A sleek direct replacement for the factory saddlebag lid handle offering improved ergonomics and easy operation with integrated rubber pad for sure-fingered grip. Chrome. 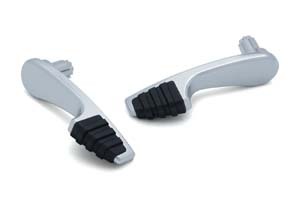 Fits 2014 to current Electra Glides, Road Glides, Road Kings and Street Glides. LH-93: Similar to above but in gloass black. 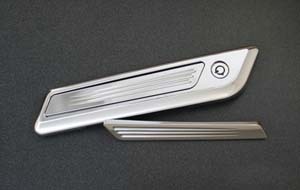 FP-62: Chrome face plate set is for the right and left sides to fit OEM bags. Set features smooth design. 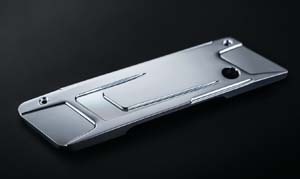 Latch covers are accurate chromed die castings! 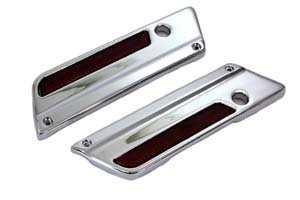 Saddlebag latch covers accurately die cast and chromed for exact shape and fit as original. Will not accept reflector inserts. Fits: FLT 2014 to current. 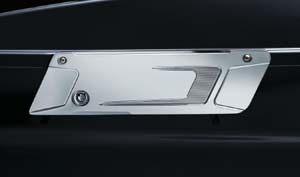 K Series: Designed to replace the stock reflectors on your 2014+ farctory hard saddlebags, thess "Plain", “Special” and “Limited” Saddlebag Hinge Inserts are a quick and easy way to customize your bags! 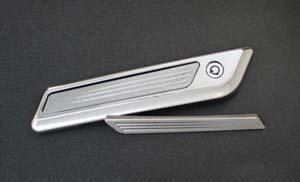 Inserts are machined from billet aluminum and chromed. Easy installation! Just remove your stock reflectors, and press inserts into place. 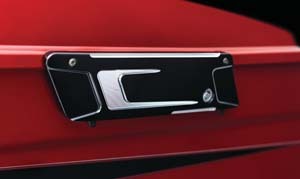 The 3M adhesive will hold them securely to your stock latches. Made in the USA. 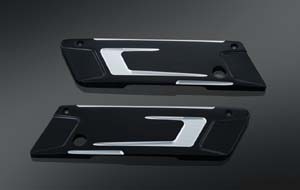 C & B Series: eGlideGoodies has added Saddlebag latch cover Inserts for 2014-Up FLH's to our line. 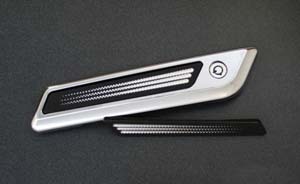 These Inserts replace the factory reflector and really clean up the stock latch cover. 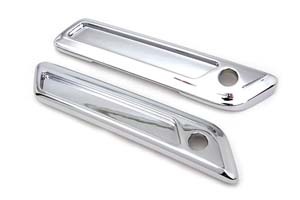 These Inserts are machined from 6061 T-6 Billet Aluminum and brilliantly Chrome plated or Billet Aluminum, brilliantly Black Anodized, then areas are machined again, yielding a contrast of a Black Anodized & a raw aluminum finish. (Sold in pairs.) Made in the USA. 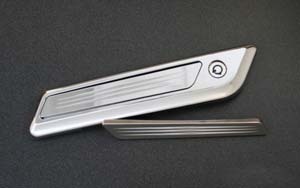 LK-47: Now you are able to replace those tired factory latch covers with some true custom machined billet aluminum. 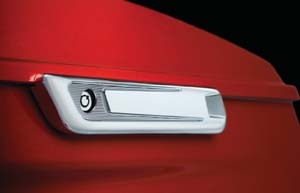 Direct bolt-on, retains all functions of stock latches and accepts OEM lock. Easy to install using existing hardware. Fits 1993-2013 touring models with factory hardbags and latches. Easy to install using existing hardware. 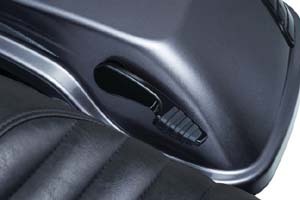 Retains all function of stock latches and accepts OEM lock. Billet machined aluminum in show chrome finish or black anodized. Sold in pairs. 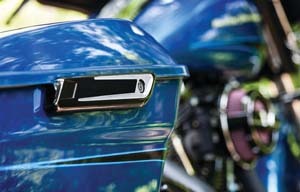 Made in the U.S.A.
LC-49: The perfect enhancement to elevate the redesigned lids on Harley-Davidson hard saddlebags. 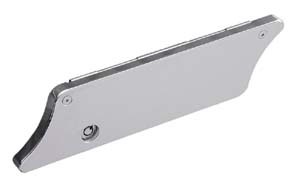 These hinge covers are forged and machined from premium aluminum, feature hassle-free bolt-on installation and require no modifications while reusing the stock hinge and locking mechanisms. Fits '14-'15 Electra Glides, Road Glides, Road Kings & Street Glides. LC-48: Similar to above in black anodized Tuxedo finish. 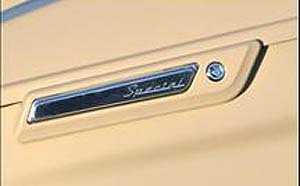 LC-47: Saddlebag Latches are crafted from premium-grade forged aluminum and are precision machined with distinctive features and styling. These direct replacements for OEM Harley-Davidson latches install by reusing the stock hardware and also accept stock locking mechanisms. 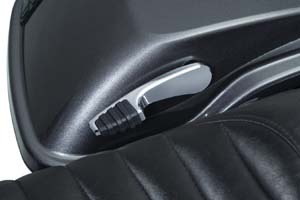 Fits hard saddlebags on '93-'13 Electra Glides, Road Glides, Road Kings, Street Glides & Tour Glides. LC-46: Similar to above but in black anodized Tuxedo styling. 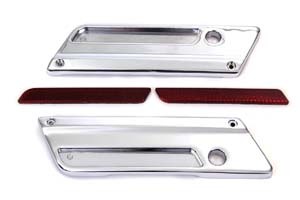 LC-67: Chrome face plate set is for the right and left sides of the saddlebag latch with indent and includes an OE replacement reflector set. Fits: FLT 1993-2013. 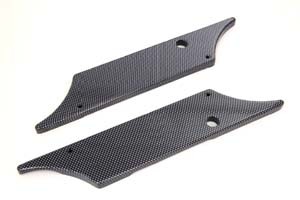 LC-03: Saddlebag latch cover set with black finish and carbon fiber look. Fits:FLT 1993-2013.